Congratulations again to our 2019 Business Leaders of the Year and Hall of Fame honorees! 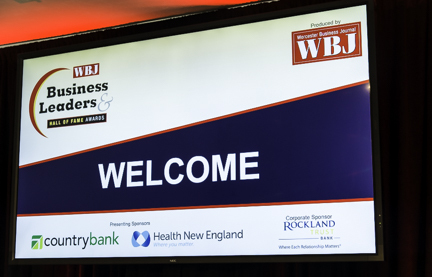 Special thanks to everyone who joined us for an evening of networking and celebration, especially our presenting sponsors Country Bank and Health New England, corporate sponsor Rockland Trust and supporting sponsors Harvard Pilgrim Health Care, InThink Agency and Revelation. CLICK HERE - Jeffrey R. Robinson, Founder & CEO, Behavioral Concepts. CLICK HERE - Son Vo, Owner, Pho Sure and Kaizan. CLICK HERE -Tina Sbrega, President & CEO, GFA Federal Credit Union. CLICK HERE - Halley & Curtis Stillman, Owners, Still Life Farm. CLICK HERE - Kenneth J. Bates, President & CEO, Open Sky Community Services. CLICK HERE - Sandy Dunn, General Manager, DCU Center. CLICK HERE - James Harvey, CEO, E.L. Harvey & Sons. CLICK HERE - Toni McGuire, RN, MPH, President & CEO, Edward M. Kennedy Community Health Center. CLICK HERE - Satya Mitra, President & CEO, The Guru Tax & Financial Services. Single Ticket Rate: $55.00, Pre-registration required. Dinner, cash bar.